Got this mini Hada Labo Whitening set from muffin.my for free. I wrote some reviews and earned enough points to redeem it teehee! 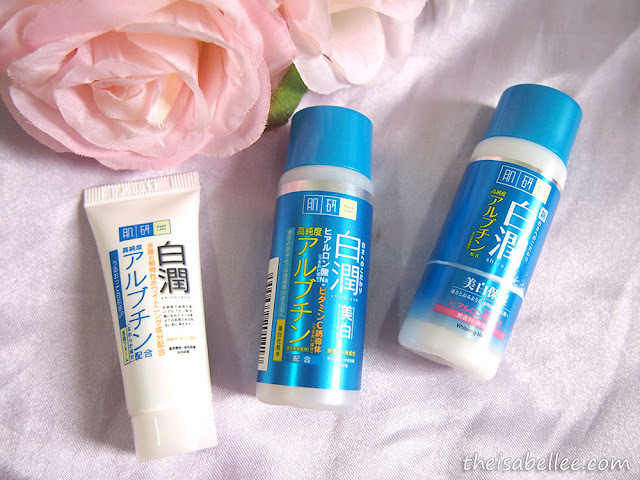 Since I had already tried the Hada Labo Hydrating range and found it to be not bad, I wanted to try the Whitening range instead but was not ready to spend on the whole set so these minis are great. As usual, the products do not contain fragrances, mineral oil and alcohol. Don't underestimate them! The 30ml bottles actually last quite a while and I use them twice daily. Gentle and mild on face, this facial wash does not strip my face of moisture. You don't need much as it lathers easily into a fluffy foam. The Hada Labo Whitening Lotion is watery and slightly cloudier compared to the Hydrating Lotion. It is also surprisingly not sticky at all! Remember the original version which needed to be patted in? 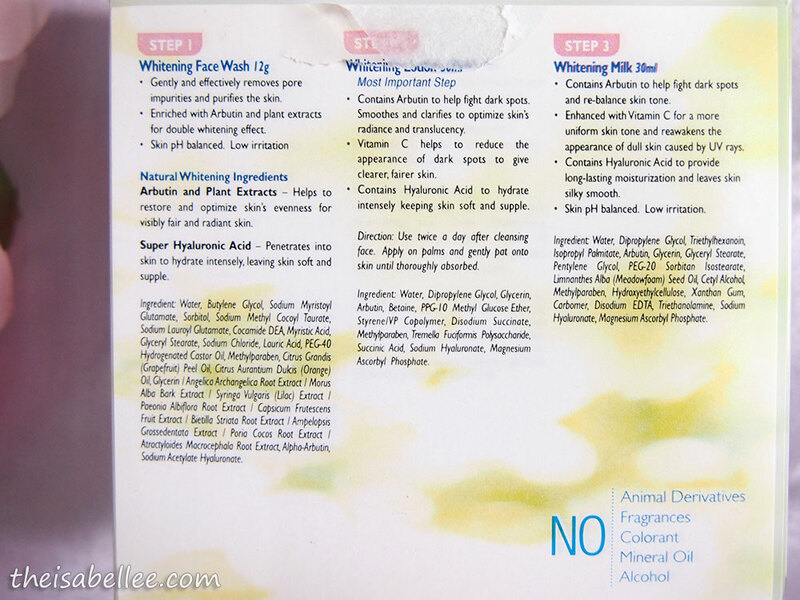 We have none of that with the Whitening one which absorbs easily. I remember the Hydrating Milk being sticky as well so I was pretty amused when I discovered that the Whitening Milk applies and absorbs comfortable without any residue or sticky feeling at all. Although it is meant for Whitening instead of Hydrating, I find the moisturizing effect to be excellent. I have not noticed any whitening effects haha not like I was really expecting to see any drastic changes anyway. I'm not sure if my skin has changed drastically since a couple of years ago but I do prefer this over the Hydrating range. It is lighter and less sticky. Very comfortable to use and provides just enough hydration for my face.